I have a fairly eclectic collection of SIBs. Many are very old, some are very intricate, many different styles and types, but for some reason one of my favorites is also one of the more simple ones. Perhaps it's the scale of a small boat that is different but I like this one. I can see why you like that one. There's an elegance about simple ships. It's why sloops are my favorite. This ship in bottle is more than just a simple ship though it has the full scene. The trees and the light house fill up the empty spaces. 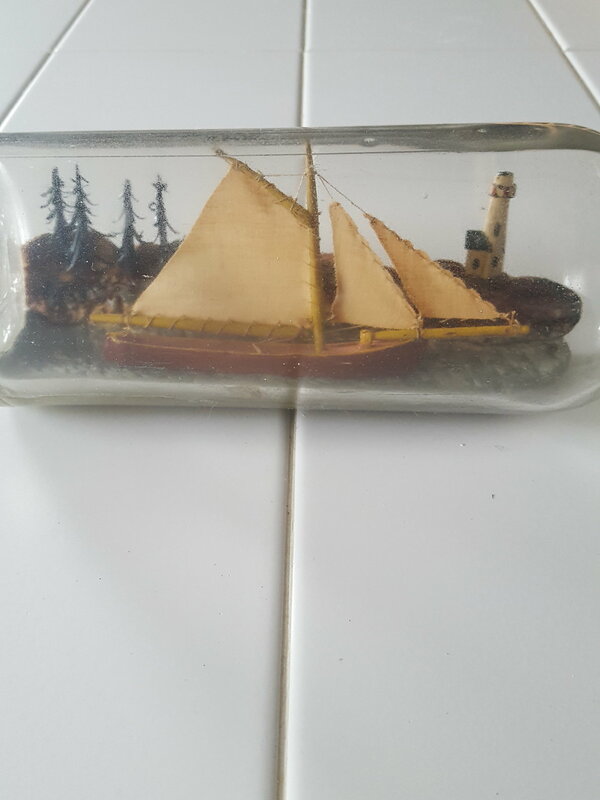 A great ship in bottle like this one is half modeling and half painting a picture. Look up Gerard Aubrey on www.folkartinbottles.com. He is a master at ship in bottle scenery. He really does some nice work. His ships are really nice but his dioramas are phenomenal. I guess you are correct in that the combination of simple ship with nice background makes this one stand out. 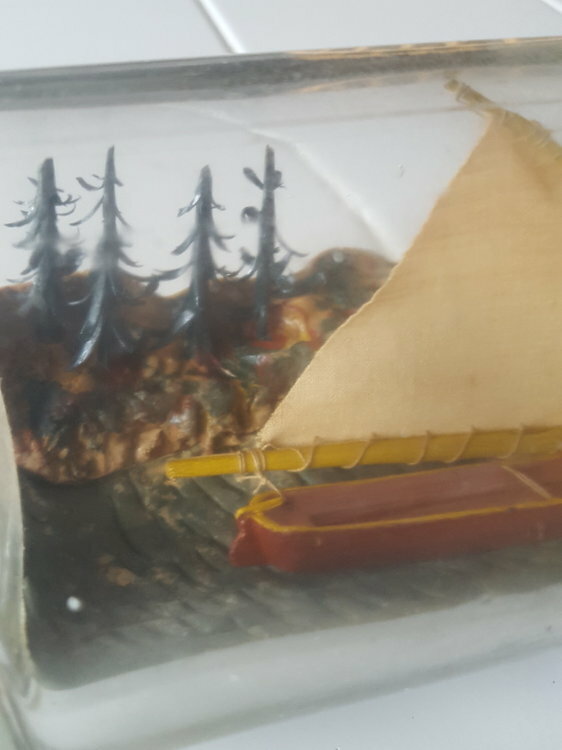 I imagine dioramas or background detail is an art in and of itself. Even waves or seas can have a dramatic effect, or can be distracting if not done well. I will surely be searching posts on water/ocean/sea for my galleon when it gets to that point. Thats a good method to use. 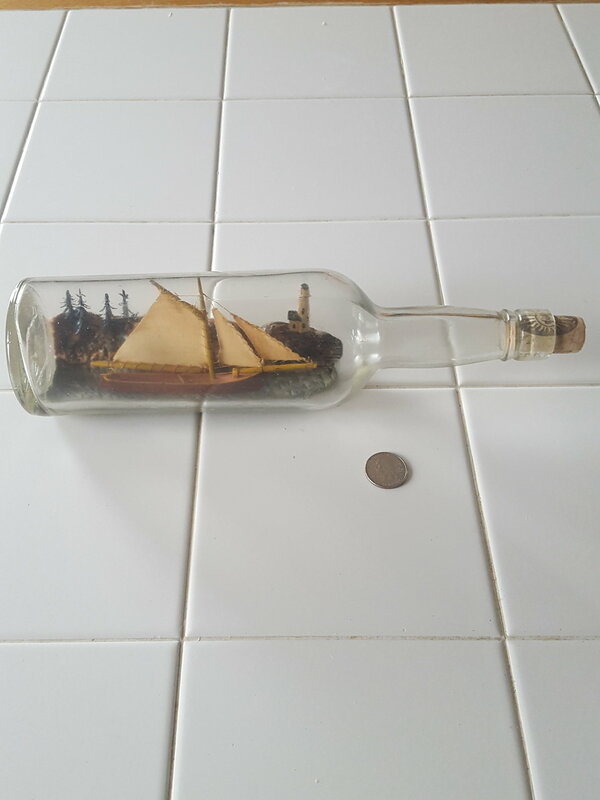 When I started out I had a list of ship in bottle builders that I thought did great in each aspect of the ship and sea. I had a person for decks, a person for hulls, a person for sails a person for seas. When I got to those part I'd pour through photographs trying to find what made that part unique compared to other builders. If needed I asked the builder their method directly. Most ship in bottle builders are happy to share. Also as a hint on seas look up Heather Rogers build of the Kalmar Nykel and Fogel Grip. 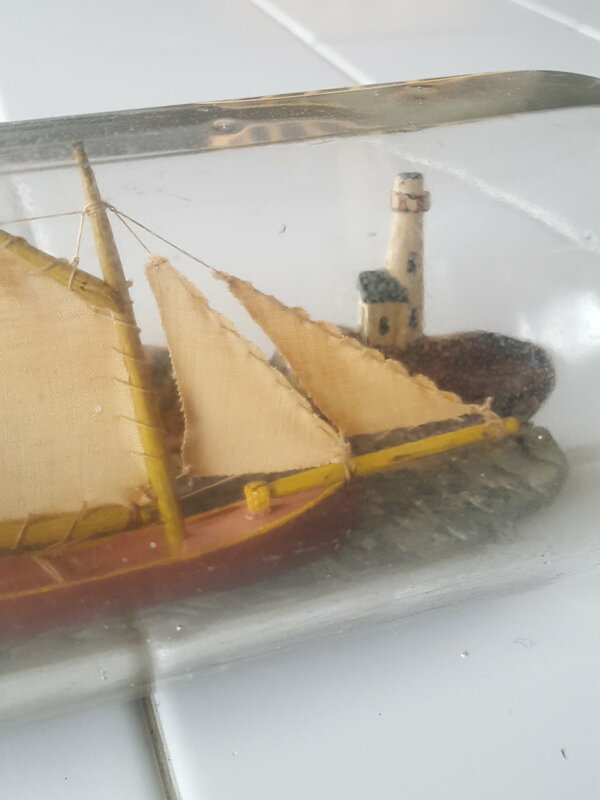 The sea in that bottle doesn't seem to stop moving.